For the first time in 40 years a set of Amazonaguildingii parrots will be return to its native country. Senior Forestry Supervisor, Cornelius Richards said that the 7 years relationship between the government of St. Vincent and the Grenadines and the ACTP has evolved to the stage where the reciprocal transfer of birds can commence from Germany to St. Vincent. 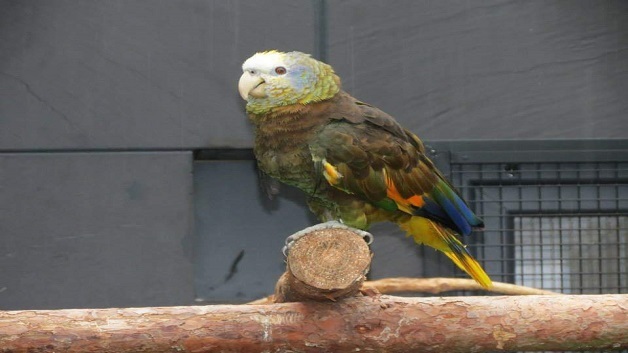 Amazonaguildingii is endemic to St. Vincent and the Grenadines and is the flagship species of the country, having been declared as the National Bird in 1979. The colors of the bird are depicted on the national flag, strengthening its image as a true icon of Vincentian identity.